On a clear, crisp day in early October. They came to my base. They sat, close. She cried, gazing into the distance. His arm was steady around her shoulders. They were silent, except for her sobs. They brushed a thin layer of dust above the roots. They seemed unwilling to leave, but finally walked away, heavily. I grow. I extend. I start in the spring as the tiniest bud. Summer greets, warm. I curled. I crumpled as the days became shorter. A brisk wind unsettled me from the branches and I floated down. I became immersed with the others like me. Frosted water weighted down over my veins and I dissolved. I became one with the earth. They returned. On a hot, humid day in late May. I watch the couple, this time surrounded by others. A sweet, gray mist is scattered over me. 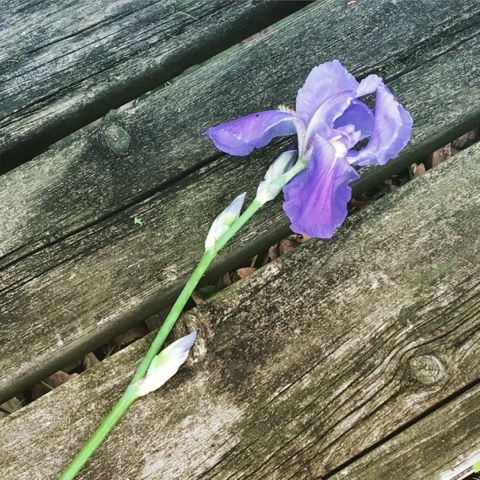 They leave fresh-cut flowers – lilacs and irises – on the sturdy bench. 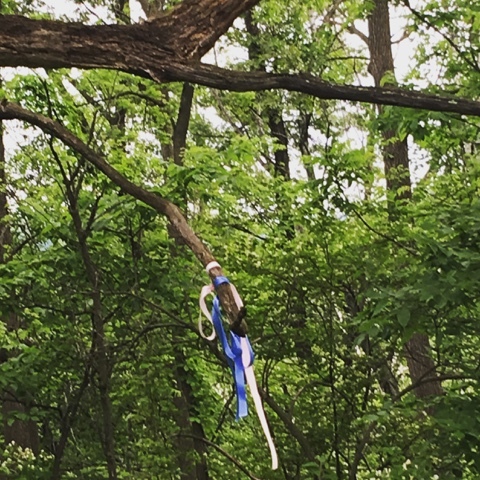 They tie ribbons to the firm branch of the tree. Everyone leaves, except the couple. I can see their feet, reluctant. I hear the words “Why are we here again?” Strained. As a fallen leaf, I can see my brothers and sisters above, making space on the tree in the new season. They rustle in the breeze, while I am still on the ground. But it is only a season, and then they will join me in returning to the earth.